I’ve written previously about how the right is changing, with the mainstream and the far right increasingly converging on politics which all the rest of used to think were limited to the margins. It is a process that takes place within political parties (think of the relationship between Trump and Bannon), between parties (think of UKIP’s relationship with Tommy Robinson), and sometimes over borders. As the mainstream and the far right converge, both are radicalised. A good example of that process would be developments in Cambridge in the last week; where last Monday a Tory motion to the students union proposed to mandate the latter to celebrate the “valour, courage, and heroism” of “British war veterans”. So far, this was just standard centre-right politics, and nothing unusual in itself. When the students rejected the motion in favour of an amended alternative, someone unknown (but if you were a gambling person, the obvious candidate would be one of the disappointed Tory students) leaked the story to the Daily Mail. Again, so far so normal. The Mail ran quite a cautious, sober piece, plainly backing the Tory students and deprecating those who didn’t want to focus on just British war veterans. But in a first, subtle, aggravation of the situation they published the name of the motion’s main left-wing critic, a student presumably in her early 20s, and a photograph of her smiling with a glass of beer in hand – no doubt scraped from facebook. (I am very deliberately not repeating her name here – even if the right refuse to allow her privacy, everyone else should respect it). The message of the image was simple: here was the callous, stupid, indifferent and hypocritical left drinking while poor veterans were ignored. From there, the story was picked up by others, including American and online publishers (Breitbart, Reddit). This was another definite step to the right. By Thursday, the papers were reporting that the movers of the amended motion were receiving death threats. Meanwhile, the Conservative students, rather than being ashamed of the coverage and seeing a need to take the heat out of the situation, were continuing to put out press releases denouncing their left-wing opponents. 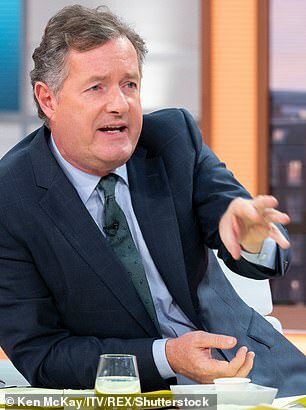 On Monday morning, Piers Morgan sided palpably with the Tory students – and accusing their critics of wanting to celebrate Hitler and Isis rather than the British dead. Right now on twitter you can see Dfla supporters beginning to discuss paying Cambridge a visit to coincide with Remembrance Day. There is a process in which the centre and far right are competing to outbid each other, each insisting that they are more patriotic than the other. Normal politics is replaced with threats of violence. A key role is played by digital media, which broadcasts the loudest and most synthetic outrage not caring who is its source or where it leads. It is the competitive but amicable relationship between the centre- and the far-right which is the key. Normally, you cannot be an advocate of electoral politics and someone who uses death threats against your opponents. Most people understand this: it’s why Trump received such criticism after his support for the alt right at Charlottesville. If anti-fascists can find a way of pushing back at that unholy alliance on the right – it might just be the way to undermine not only the likes of the Cambridge Tories, or indeed the hapless DFLA, but even higher-profile figures such as Tommy Robinson.